Vivo has launched its flagship smartphone, the Vivo V9 in the Indian market today. The Vivo V9 comes at a time when the Chinese company is struggling to catch up with its counterpart Xiaomi. Like always, the Vivo V9 also boasts of an impressive selfie camera of 24MP and this time around, Vivo chose to add decent internals to the smartphone, unlike the Vivo V7 series. The device will be exclusive to Amazon India and will be sold at a price of Rs 22,900 in the country. That’s some sensible pricing by Vivo India. The Vivo V9 sports a 24MP selfie camera with f/2.0 aperture and Face Unlock mode. To the rear, the phone offers dual camera setup of a 16MP primary sensor and a 5MP secondary sensor. The phone offers a Portrait mode powered by Artificial Intelligence. Vivo has also added several new features such as AR Stickers to the front camera, and all of them are powered by AI technology. To the front of the phone, the Vivo V9 rocks a 6.3-inch Full HD+ display with a resolution of 2280 x 1080 pixels. The screen has an aspect ratio of 19:9, meaning it has the infamous Apple iPhone X-like notch on the top. Under the hood, the phone is powered by the Qualcomm Snapdragon 626 chipset, coupled to 4GB of RAM and 64GB of internal storage. There’s a hybrid microSD card slot for storage expansion. The Vivo V9 is one of the few smartphones to come with the Snapdragon 626 Mobile Platform. The device boasts all-metal body design and weighs 150grams. 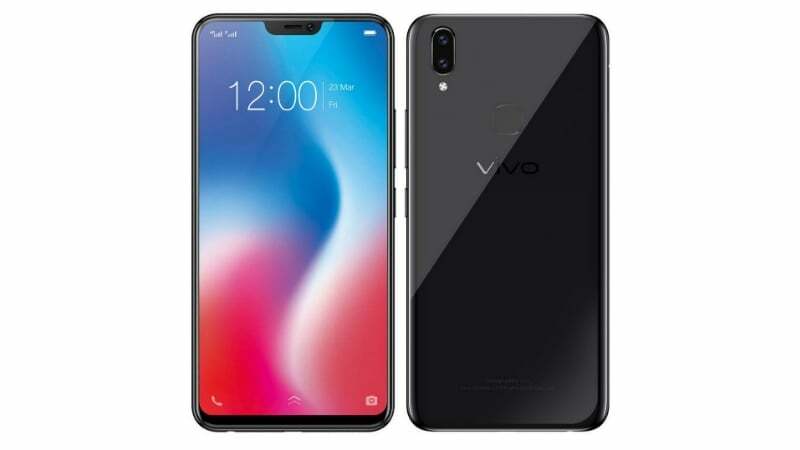 Vivo has added several new connectivity options such as 4G LTE, VoLTE, Wi-Fi 802.11 b/g/n, Bluetooth 4.2, GPS and sadly, it still comes with a micro USB port to the bottom. But on the brighter side, the device ships with Android 8.1 Oreo out of the box with FunTouch OS 4.0 on top. The Vivo V9 comes with a fingerprint scanner placed on the back of the phone. Vivo is yet to launch an in-display fingerprint scanner in India. The Vivo V9 is backed by a 3260mAh battery. The device will be available in three colour options to choose from for Rs 22,990. Pre-booking for the smartphone starts today on Amazon and it will be up for sale on April 2. Snap 626 big let down! Hahahaha……..altst this time they r giving SD mid range Proccessor in high end phone… Otherwise they gave SD low end processor. Does it have dedicated audio chip?